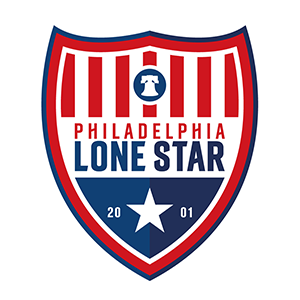 REPORT: Goldey-Beacom College 1-2 JLSFC; Bearfight FC 3-3 JLSII | Philadelphia Lone Star F.C. Both our First and Second Teams were in action today in pre-season matches. Kouassi “Pique” N’Guessan scored a brace in the First Team’s 2-1 win away to Goldey-Beacom College Men’s Soccer while trialist Elbek Mukhtorov (Uzbekistan), Wilson Jah, and Damien Dolley were all on target and Terry Kemokai had two assists as Junior Lone Star II were forced to a 3-3 draw away to Bearfight FC. Defender Koaussi “Pique” N’Guessan scored a brace as the Stars continue their fine pre-season form with a 2-1 win at Goldey-Beacom College in Wilmington, DE. The Stars took the lead in the 15th minute with N’Guessan sending in a thumping header off a corner. After the Stars dominated much of the first half, Goldey-Beacom Lightning was given a lifeline when a penalty was called in the 30th minute. Goalkeeper Prince Monyan was up to the tasks as he saved the penalty to keep the score 1-0 for the Stars at half-time. After the break, the Stars started where they left off and increased their lead in the 60th minute via defender N’Guessan again as he rose the highest to nod the ball at the back of the net off a free kick from Yaya Fane. Ten minutes later, Goldey-Beacom pulled one back and even though a goal by A.s. Allison Jr. was ruled offside, the Stars were still able to hold on to a 2-1 win. The Stars will enter their last week of the first phase of pre-season training on Monday in preparation for another pre-season game away to Wilmington University on Sunday, April 15. Trialist Elbek Mukhtorov (Uzbekistan), Wilson Jah, and Junior Dolley were all on target and Terry Kemokai had two assists as Junior Lone Star II were forced to a 3-3 draw away to Bearfight FC in a pre-season friendly. JLS II were in the ascendancy majority of the game and doninated all through but a lack of focus saw them concede two goals after they had led 3-1 at one point of the match. The team will now return on Monday for the last week of pre-season training before their first league match away to Upper Darby FC on Saturday, April 14.